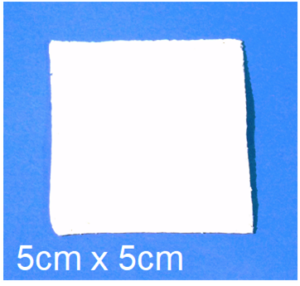 Product Description: Serioss is a biocompatible, resorbable, osteoconductive scaffold of Silk Fibroin (an insoluble protein present in silk) that can be used as a bone graft substitute. This product has shown promise in in vitro and in vivo studies. Several different materials have been developed in the past as synthetic bone graft substitutes for long bone fractures and traumatic osseous defects. However, autografts remain the gold standard in the orthopedic community despite their known disadvantages. In India, issues such as unavailability and high cost of synthetic bone graft substitutes has led to autografts being the only or primary option for orthopeadic surgeons. Our technology will help reduce the prices for these implants by at least 30%, making them more affordable to the large Indian population and for other developing nations. 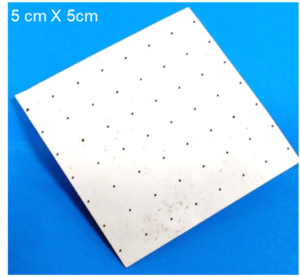 Product Description: Serimat is an organ reconstruction mesh, with a special focus on its use in breast reconstruction surgeries as an alternative to Acellular Dermal Matrices, which has disadvantages such as, high cost (USD 5000-7000 (INR 3.5 – 5 lakhs) for a 16 x 6cm piece), higher complication rates due to infections, and poor cell adherence and proliferation. Biolmed’s serimat offers a solution that balances affordability with good mechanical properties. 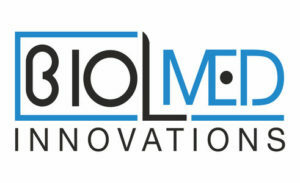 BiolMed has been awarded BIRAC’s SBIRI funding for development of this product. Product Description: Easypeel is a non adherent wound dressing for mild to moderately exuding wounds. It will also maintain a moist environment while absorbing the exudate, and not cause pain when the dressing is being changed. This is a significant improvement over conventional dressings that stick to the wound when applied, resulting in pain when removed and disturbance of the newly formed tissue, thus hindering the healing process.